Players return from the bottom after a point is scored underwater. Underwater hockey players catch their breath between sets at Atlanta's Washington Park Natatorium. Many sports are all about teamwork. But underwater hockey takes this to new heights. Or depths, rather, since all the action in underwater hockey is at the bottom of a pool. And because players can’t hold their breath forever, hogging the puck isn’t an option. 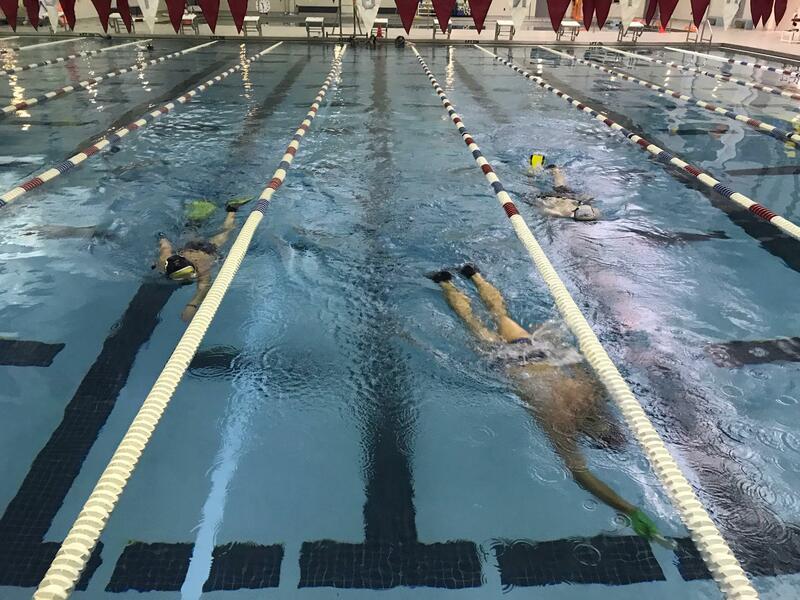 GPB’s Emily Cureton took a dip with Atlanta’s underwater hockey club, the Swordfish. She brought back an audio postcard from a recent practice. 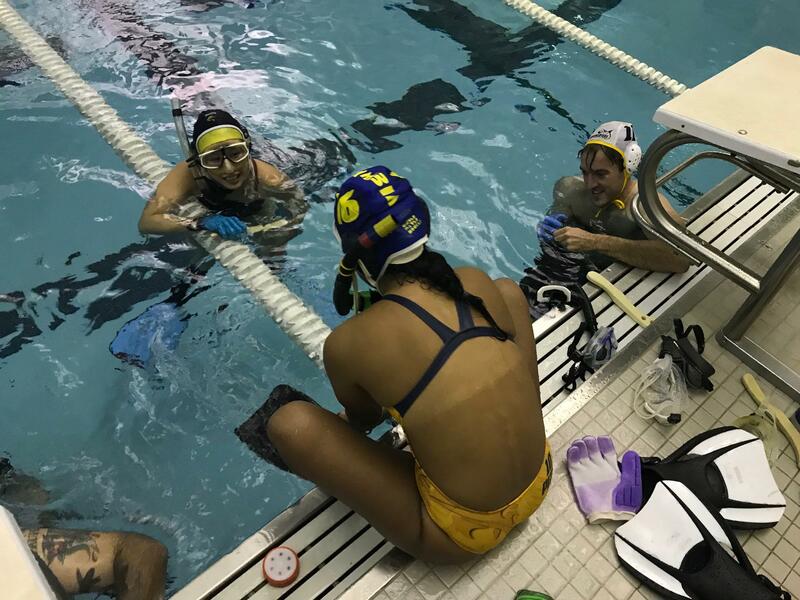 A dive into underwater hockey, also known as "octo-push."